This week’s interview is with Chris Weathers, a web developer and entrepreneur in Knoxville, Tennessee. We talked about business growth, advice for up and coming designers (and developers), and spoke about some of the short-term and long-term goals for his company, Weathers Media Group. Check it out! 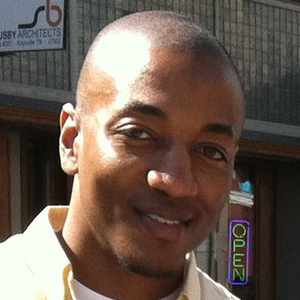 My name is Chris Weathers and I’m a web developer living in Knoxville, Tennessee. I’m a University of Tennessee alumnus and currently work full time at a daily deal/customer acquisition website called nCrowd (formerly Half Off Depot). My nights and weekends are dedicated to Weathers Media Group, a small web development and consultation company I started in 2009. 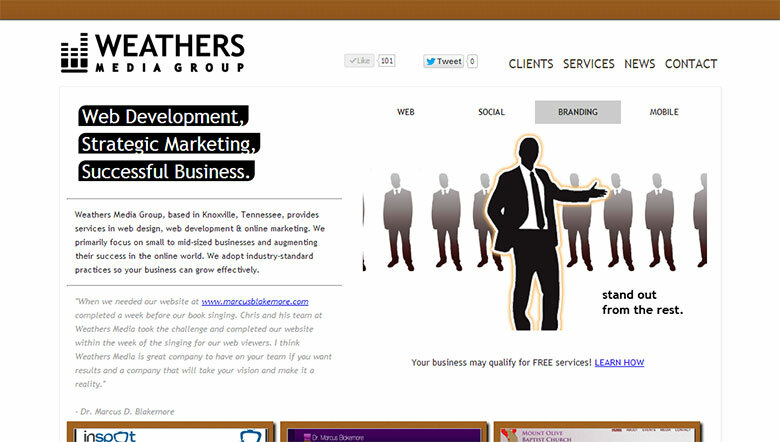 How did Weathers Media Group start? I have always loved computers and the internet ever since I was little. During my college years, I took an interest in web design after the inspirational success of Facebook. In late 2007, I decided to try freelancing, and in 2009 I put a formal business name in front of it. My short-term goals are to accrue steady clientele and move up from small businesses to mid-sized and large companies. I’d like to develop solutions for businesses that will reduce overhead, increases margins, and increase employee efficiency. My long-term goals involve outreach and getting these exact skills I’m using into urban communities so that demographic will be able to enter an ever evolving workforce with the skills needed to stay ahead. I have a few ways I keep myself motivated. The first and most powerful motivation I have is my legacy. Simply put, it would be a heinous crime for me to sit idly and not do anything with my life based on all the struggle and oppression my near and distant family has had to deal with. I also try to surround myself with motivating friends and acquaintances. Using their success as fuel and inspiration is key to reaching my small and large goals. The most difficult thing is balancing my full time job, my part time job, and the social life of a 26-year-old man. I try to put in about 25 hours a week into Weathers Media Group. When the workload gets to be too much I often call upon Freelancer.com or Elance.com for help. Working with other freelance developers is a rich experience since their skill set often compliments my own and learning from them has helped me tremendously. Once I move to working full time with Weathers Media Group, I plan to triple up on the work, hire a developer or two locally, and stack up projects and clients mainly around the Southeast. I would love to physically work alone and travel while staying connected remotely. With today’s plethora of communication methods I could go around the world and stay connected with my clients or my team. Realistically, I would like to get office space soon and hire a few developers. We’d use a suite of industry standard tools to get clients in and out with smiles on their faces. Right now I work from a Mac OS X 10.7.5 with tools like the Adobe Creative Suite, Aptana Studio, Sequel Pro and much more. We use Amazon Web Services for hosting, DNS, CDN, cloud storage and my databases. I’ve optimized our EC2 instances as much as I know how with Varnish, APC Cache, optimized MySQL and Apache configurations, and just good web practices. We use the LAMP stack for building software and websites (Linux, Apache, MySQL, PHP). There is also a Ruby on Rails instance that’s not in use that we plan to pick back up. Right now we take on any clients we’re able to help. There’s still the dream of focusing on African-American owned businesses and endeavors and we’re working towards that. Most clients we have now need help optimizing their operations and/or fulfillment department at their business and we go in and either optimize or write new apps for them. We’d like to get back into websites and mobile apps full time since that’s our bread and butter. What skills do you think a web designer needs now in 2013? There has been an influx of server-side and client-side frameworks that are extremely useful when implemented correctly. They save lots of time and effort and actually produce better code in a shorter amount of time. Developers should not only learn how to use these new technologies but learn WHEN to use them. Not every framework or programming language is applicable to every situation and it takes experience to determine which one will get the job done at a given time. I’m going to need Internet Explorer to start acting right. What are the three most important lessons you’ve learned becoming a web designer and a business owner? Being a business owner takes discipline and many hours of work. Entrepreneurs will always start off wearing all the hats of the business and spearheading everything from marketing to operations. As a web designer it’s very, very important to evolve with the craft. Every month there are new innovations, techniques, frameworks, and standards to keep up with. Evolving with the growth of the craft is essential to the success of your work. Make sure you exercise. 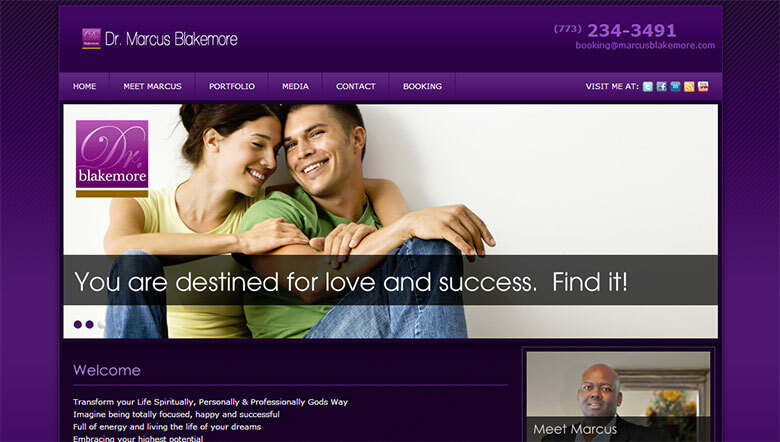 Being a business owner and web designer I find myself stagnant for long periods of time and that’s not really who I am. I love playing basketball and running a few times a week to keep my blood flowing. Are there any designers whom you admire? I admire any designer behind a website or app that is powerful and easy to use. Here are a few that I use: Square, Trulia, Instagram, Evernote, and Mint. What advice would you give to a designer just starting out in this industry? Get familiar with all skill sets of the craft. Do not rely just on a few skills to succeed. If you are a back end developer you need some design skills (Photoshop, CSS, maybe even Flash). If you are a designer you need to be familiar with coding. About Chris: Chris Weathers is the owner of Weathers Media Group in Knoxville, Tennessee. You can visit his website at weathersmedia.com.